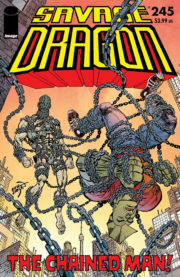 Savage Dragon #227 came out a little over 2 weeks ago. Let’s take a minute to take a look at the current issue. Captain Stewart to the rescue! We knew from the solicits that Malcolm and family were eventually going to end up in Canada but it wasn’t clear yet how things would go down and if they’d have to fight their way to freedom. As it turns out Malcolm’s former boss Captain Stewart stands up for his fellow policeman and smuggled the Dragon family over the border – regardless of the consequences for himself. Back in the states Jennifer, Angel and Alex are in Dimension-X looking for DarkLords technology to bring back the deceased Dragon only to have their way home cut off due to President Trump’s new law against aliens. 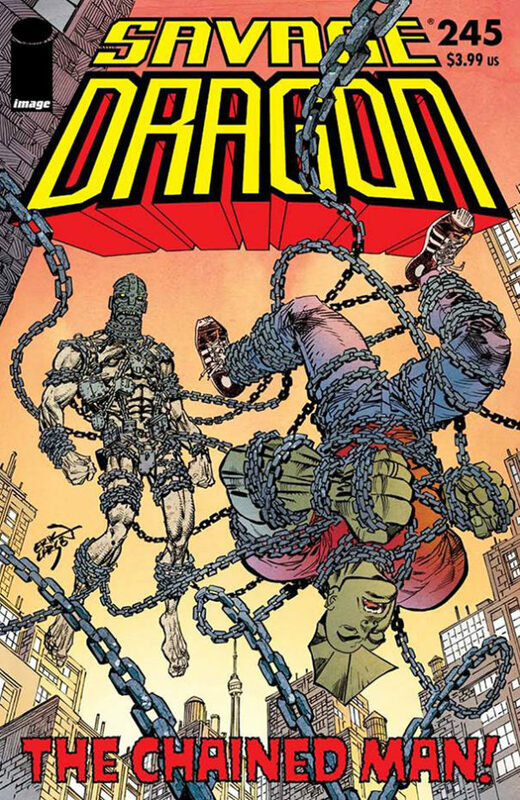 So while Dragon, Maxine and the kids have to come to grips with their new surroundings in Toronto – Jennifer, Angel and Alex have to deal with the reality of Dimension-X. The book keeps switching from one scenery to the other and puts the different kinds of ‘threats’ into perspective. The soft horror of a filled cloth diaper on one side vs. the hard reality of fighting giant rock monsters on the other. Meeting new people vs. meeting new monsters. Trying to make yourself a new home vs. trying to find a way back home. In the end, the reader realizes that moving to Canada isn’t all that bad and that things could have been worse. This is what it looks like when a crazy person plans out their comic book. A which point did that become me? The book is a great jumping on point for new readers. It’s not only a change in a new direction but Erik also did a great job of catching people up to speed with this issue. 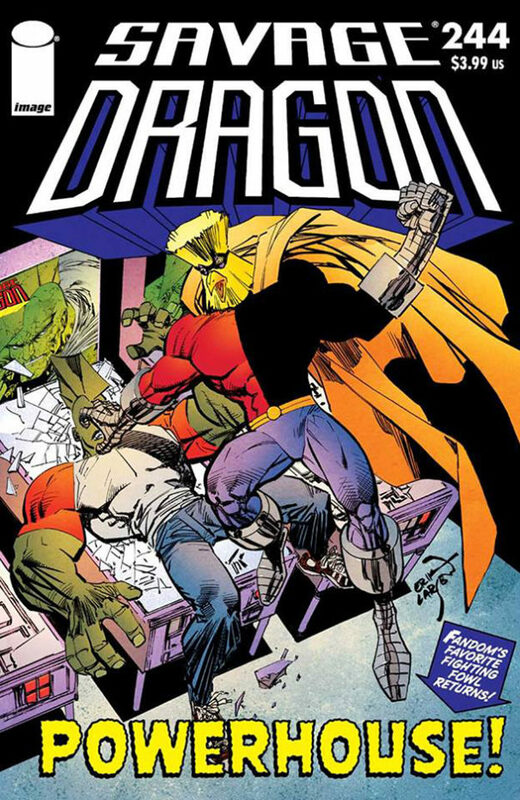 If you want to (re)join the Savage Dragon bandwagon – this might be a perfect time. Naturally, Savage Dragon #227 didn’t receive as much attention as last issue with its controversial Trump cover but we have gathered the reviews we could find so far for your further reading convenience. PS: BTW, Did you guys realize that Erik actually drew a dog this issue… ?